If you were recommended the purchase or sale of an annuity by Fifth Third you may have been the victim of fraud. We represent investors nationwide and are available to discuss whether you are a victim and entitled to compensation. Please call 1-866-817-0201 for a free and confidential consultation. The Financial Industry Regulatory Authority (FINRA) in a statement on May 8, 2018 stated that it has fined Fifth Third Securities $4 million and required the firm to pay approximately $2 million in restitution to customers for failure to accurately consider and describe costs and benefits of variable annuity (VA) exchanges, and for recommending exchanges without a reasonable basis to believe they were suitable for customers. While the FINRA action focused on variable annuities, the exchange or early liquidation of any annuity is possibly a violation. Variable annuities are complex and expensive investments commonly marketed and sold to retirees or those saving for retirement. Exchanging one annuity with another involves a comparison of the complex features of each security. Accordingly, annuity exchanges are subject to regulatory requirements to ensure that brokers have a reasonable basis to recommend them, and their supervisors have a reasonable basis to approve the sales. Failure to do so can cost investors hundreds of thousands of dollars and cause the investor savings to become unnecessarily illiquid. Brokerage firms, like Fifth Third, have been on notice of this problem and other problems with annuities for years. FINRA has warned of the limited suitability of these investments and that they should only be sold to limited types of investors and has done so more than once.. In fact, variable annuities and variable life insurance is so prone to fraud, FINRA has specific rules concerning these products. FINRA found that Fifth Third failed to ensure that its registered representatives obtained and assessed accurate information concerning the recommended annuity exchanges. It also found that the firm’s registered representatives and principals were not adequately trained on how to conduct a comparative analysis and truthfully sell the annuities. In addition, FINRA found that Fifth Third failed to comply with a term of its 2009 settlement with FINRA. In the 2009 action, FINRA found that, from 2004 to 2006, Fifth Third effected 250 unsuitable annuity exchanges and transactions and had inadequate systems and procedures governing its annuity exchange business. For more than four years following the settlement, the firm failed to fully implement an independent consultant’s recommendation that it develop certain surveillance procedures to monitor VA exchanges by individual registered representatives. As a result, the firm misstated costs and benefits of VA exchanges — and in some cases omitted critical information altogether — making the exchanges appear more beneficial to customers in 77 percent of the exchanges Finra reviewed for the period of 2013 through 2015. For instance, Fifth Third transgressions included telling customers that the new VA contracts being marketed had living rider benefits guaranteeing minimum payments to customers and their beneficiary when none existed, Finra said. This entry was posted in Uncategorized and tagged Annuity Class Action, arbitration, attorney representation, class action, Fifth Third, financial advisor, FINRA, securities fraud, unsuitable securities on May 8, 2018 by Jeff Pederson. The Financial Industry Regulatory Authority (FINRA) announced today, September 25, 2017, that it has sanctioned Morgan Stanley Smith Barney LLC approximately $13 million for UIT violations by its advisors and for failing to supervise its advisors’ short-term trades of unit investment trusts (UITs). If you were sold UIT investments at Morgan Stanley, call toll-free 1-866-817-0201 for a free and confidential consultation. While this fine involved the failure of Morgan Stanley to supervise hundreds of brokers executing thousands of UIT rollover transactions, the most prolific offenders appear to be the following: Elaine Diones LaCerte, Richard Alan Shotz, Vincent Sciabica, and Lloyd Thomas Layton. 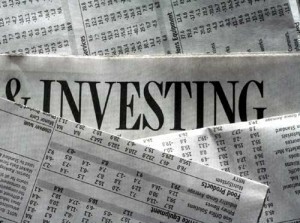 A UIT is an investment vehicle similar to a mutual fund but with some key differences. It is an investment company that offers units in a portfolio of securities; however, unlike a mutual fund, it terminates on a specific maturity date. UITs impose a variety of charges, including a deferred sales charge and a creation and development fee, that can total approximately 3.95 percent for a typical 24-month UIT. This can be a significant cost. A registered representative, or advisor, who repeatedly recommends that a customer sell a UIT position before the maturity date and then “rolls over” those funds into a new UIT, an action that can also be described as “churning,” causes the customer to incur increased and unnecessary sale charges over time. FINRA found such actions in thousands of customer accounts. FINRA further found that Morgan Stanley failed to adequately supervise advisor sales of UITs by providing insufficient guidance to supervisors regarding how they should review such transactions to detect improper short-term UIT trading, failing to implement an adequate system to detect and deter such abuse, and failing to provide for supervisory review of rollovers prior to execution. Morgan Stanley also failed to conduct training for advisors specific to these UIT issues. This entry was posted in Uncategorized and tagged arbitration, class action, FINRA, securities fraud, Stockbroker fraud, unsuitable securities on September 25, 2017 by Jeff Pederson. If you suffered losses with Paul Vincent Blum, most recently a financial advisor with RBC, please call 1-866-817-0201. In 2017, FINRA was conducting an investigation of Blum in connection with customer complaints and arbitration claims alleging, among other things, unsuitable trading. To date, Blum has approximately 23 customer complaints. Many of the complaints concern his recommendation of energy sector investments to investors not wishing to speculate or unwilling to high levels of risk known to exist in the energy sector. Many of these complaints were settled by Blum’s employers, including RBC. He has also been accused of making misrepresentations concerning bonds, including the taxable nature of certain bonds. On July 21,2017, FINRA staff sent Blum’s counsel a written request for on-the-record testimony pursuant to FINRA Rule 8210. As stated in Blum’s counsel’s email to FINRA of July 25,2017, Blum aclmowledges that he received FINRA’s request and will not appear for on-the-record testimony in front of FINRA. 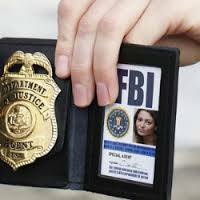 FINRA requires that persons subject to FINRA’s jurisdiction provide information, documents and testimony as part of a FINRA investigation. As a result of the failure to cooperate in the regulatory investigation of FINRA, Blum has been barred from association with any FINRA member, which would include any and all securities brokerages in the United States. This entry was posted in Uncategorized and tagged financial adviser, financial advisor, FINRA, Florida, fraud, lawyer, securities fraud, unsuitable securities on August 15, 2017 by Jeff Pederson. If you suffered investment losses or stuck in a variable annuity, or other investment losses, as a result of Roger Zullo, formerly of LPL Financial, please call 1-866-817-0201. On April 4, 2017, Zullo entered a Consent Order, a settlement, with the Massachusetts Securities Division resolving charges made in an administrative complaint by the state against Zullo and LPL. 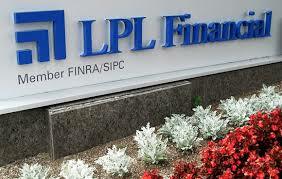 The complaint alleged that Zullo, under the oversight of LPL, defrauded their clients, falsified client financial suitability profiles, and sold his customers unsuitable variable annuities. Pursuant to the Consent Order, without admitting or denying any allegations of fact or violations o flaw, he consented to a permanent bar from the securities industry in Massachusetts, a $40,000 administrative fine, and disgorgement of $1,875,348. Payment for disgorgement was waived due to Zullo’s circumstances, however, this does not preclude investors from retaining private attorneys to seek this recovery from LPL. Zullo first became registered with FINRA as an IR in September 1998. He maintained that registration through consecutive associations with two member firms between September 1988 and August 2004. From August 2004 through December 2016, he was registered as an Investment Representative with LPL. 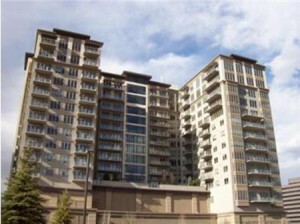 In November 2004, Zullo also became registered as IP through his association with the Firm. Zullo maintained those registrations through his association with the Firm until December 2016. Zullo worked for the Firm as a broker-dealer agent and investment adviser representative in Wellesley, Massachusetts. On January 10,2017, FINRA sent a request for information and documents pursuant to FINRA Rule 8210 to Zullo with a response date of January 24, 2017. Zullo, through his counsel, requested two extensions to the January 10 request. Pursuant to these requests, FINRA extended the response date to March 1,2017. Zullo did not provide any documents or information to FINRA in response to the January 10 request. On March 2,2017, FINRA sent a second request for documents and information pursuant to FINRA Rule 8210 to Zullo with a response date of March 16, 2017. Zullo did not provide any documents or information to FINRA in response to the March 2 request. The resulting FINRA punishment is a permanent bar from the securities industry. This entry was posted in Uncategorized and tagged FINRA, fraud, Mass Investor Fraud, Massachusetts, securities fraud, Unsuitable Investment, unsuitable securities on August 1, 2017 by Jeff Pederson.